The latest employment cost index report came out from the Bureau of Labour Statistics this morning. Overall compensation increased by increased by 0.7% in Q3, and wages increased by 0.8%. 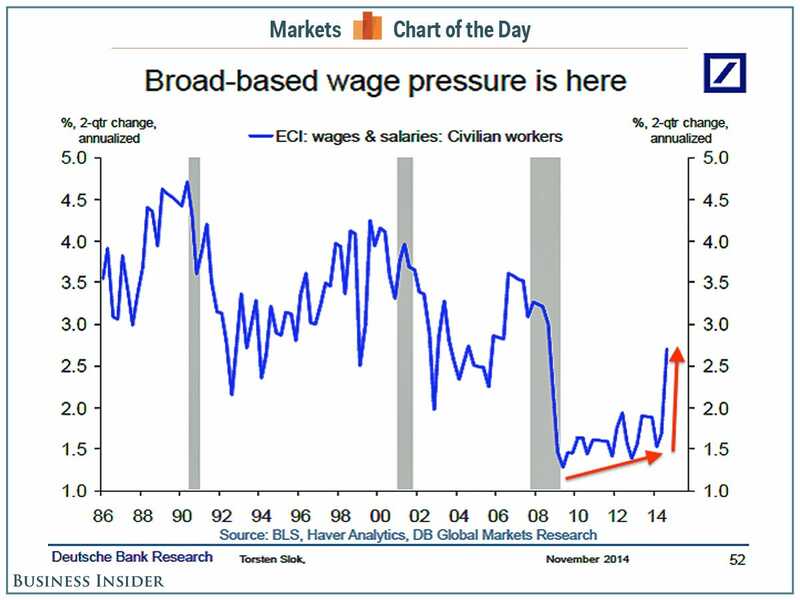 Year-over-year, compensation is up 2.2%, with wages up 2.1%. 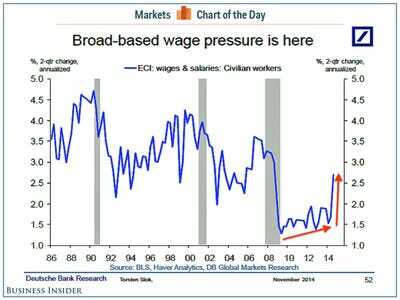 This looks like the wage growth that everyone has been looking for after signs the labour market is tightening up.